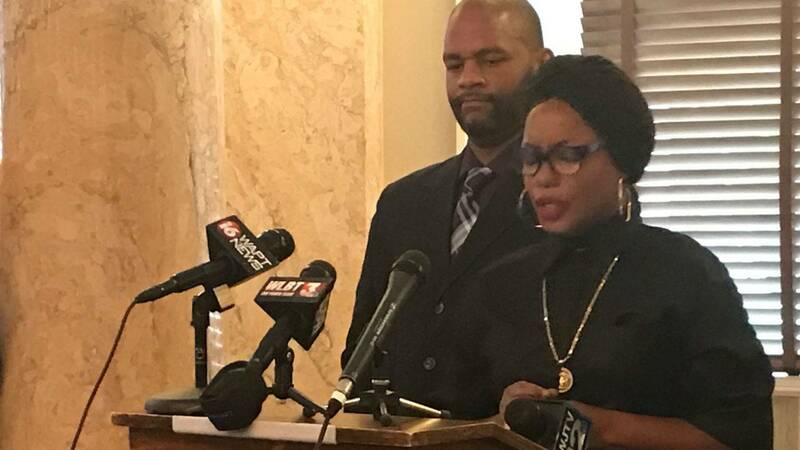 Aujanue Ellis tells Governor Bryant, "We will not be ashamed." Activists and community members in Mississippi are calling for the Governor to change his stance on the state flag. MPB's Alexis Ware reports. Community leaders are speaking out against Governor Phil Bryant's recent response to the confederate emblem on the state flag. Last week the governor told WAPT it's wrong to associate the Mississippi flag with the flag used during the Charlottesville protests. He says shame on people for taking that political stance. Mississippi Actress Aunjanue Ellis says the image on the state flag symbolizes intuitional racism in Mississippi. "Our flag is essentially the same flag. It has a blue swath and a white swath and a red swath of material, but it doesn't mediagate that canton. And in that canton is the same flag the same image that they were flying in Charlottesville, and it's not just about the image it's about the principle behind it. It's about the articulation of those principles that we as Mississippians live with every day." Mississippians voted in 2001 to keep the current flag. Some who oppose changing the flag contend the decision made 16 years ago should be final. In a statement Governor Phil Bryant says he has not changed his position. He says, "whatever the state flag is or is not should be decided by Mississippi voters." Rabbi Matt Dreffin says it's time for another vote or change in legislation. "A whole generation of voters did not have a say in that election. The defenders of the flag, 'the law is the law.' Yeah but last I checked legislation changes. Defenders of the flag say, 'You know we must leave it the way it is because we already voted the legislator's already done this.' But the law of the land is not the law of God." All eight public universities and some municipalities in Mississippi have removed the state flag.